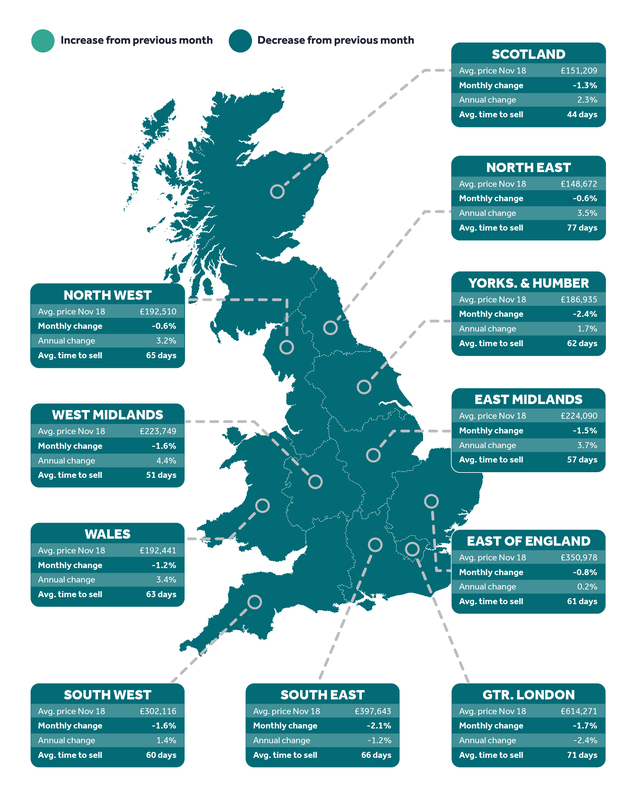 Rightmove has just released its latest figures for the sales and lettings market. What the report confirms is what we're seeling locally in the Farnham and Aldershot property markets on a daily basis. Realistic sellers are still gatting results! The market is at its weakest since 2011. Its not a surprise that there is turbulance in the markets given the political uncertainty. With 27 years in the local market Castles have worked extensively in similar markets and plenty worse! The overview is below. For specific advice on what's happening in your road contact your nearest Castles branch. All regions see a monthly fall in the price of property coming to market, with most of the largest falls in the south. After Yorkshire and the Humber, the second largest monthly faller is the South East with an average 2.1% fall (-£8,647). Some of the more expensive towns in the London commuter belt which had seen over 40% price rises since 2011 unsurprisingly have significant price falls. London new seller asking prices drop too by 1.7% (-£10,793), though this is not unexpected since the capital generally sees greater seasonal price volatility than the rest of the country. These factors have contributed to the first national year-on-year price fall since November 2011, with the price of newly-marketed property now 0.2% (-£607) cheaper than 12 months ago. With the supply of new-build houses remaining tight, a low interest rate environment combined with near record employment, and average wage increases now rising faster than both CPI inflation and average property prices, the underlying fundamentals for a stable property market remain sound. Indeed the number of sales agreed by estate agents was up in October 2018 compared to October 2017, albeit by a modest 1%.